I wonder who here appreciates a good pencil? Wood pencils have long been banished from my shop. In the beginning I used to sharpen them with a chisel. The chisel was replaced with an old school grinder sharpener. And then I replaced the wooden pencils. These days I use 2mm clutch pencils. The ones I prefer are the Caran d'Ache Fixpencil 22. These have become something of a cult as it was the daddy of clutch pencils. 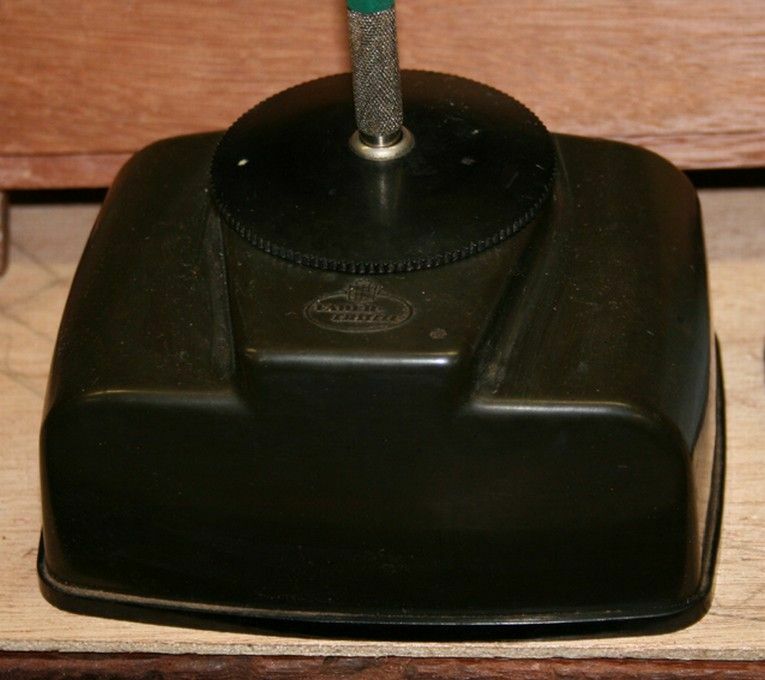 The lead is sharpened with a Gedess Lead Pointer, which I believe once won an award for design in the 1930s. The one I have dates to the 1950s. This combination creates a fine point, one that is easy to maintain. Anyone else have a favourite? My favorite - for calculus at least - is the Pentel GraphGear 1000. I have a 0.7 and 0.9 lead. I love the heft and balance of it. I'm a sucker for new fangled mechanical pencils and I've bought most of the offerings over the years but I end up going back to my long time favorite Pentel QE405. This page says they started making them in the 90's but I'm sure I have some from the early 80's. They're light, durable, use .5 mm leads and have a generous eraser. They used to be cheap. Hmmm, looks like they're replaced with a similar design which is also cheap. 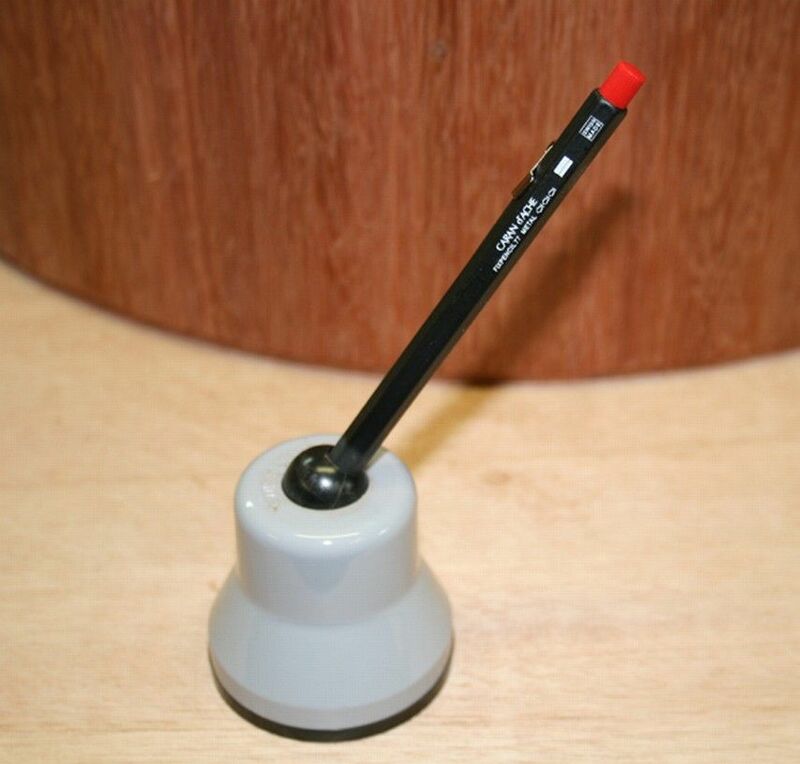 The Pentel Twist Erase Frost. I like lead pointers. My favorites (along with a bunch of others) are here: http://www.talkfestool.com/vb/other-...harpeners.html. The ones I prefer are the Caran d'Ache Fixpencil 22. I've used the same trio of German Rotring pencils--a pair of .5mm and a 2mm--since I was in design school (trust me when I say that was a long. long, long, time ago) and they're still going strong. It's a small miracle that I haven't lost one of them. I use a Lamy Scribble ( about 3.5mm ) . Great Ergo's , great pocket clip . I'm probably going to get it's 0.7mm brother . The green one is a Linex, an Australian brand. Very nice but not as nice as the Caran d’Ache Fixpencil. These both use 2mm. 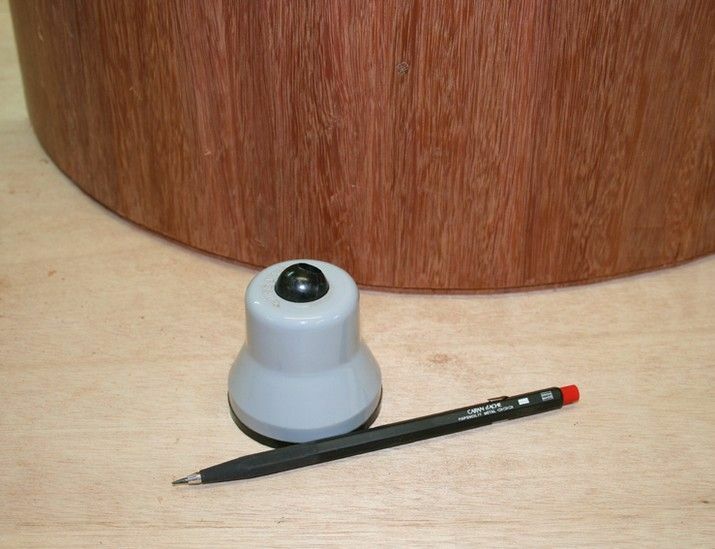 The black hefty number is a 5mm clutch pecil, good for marking out rough work, but too thick for fine detail. 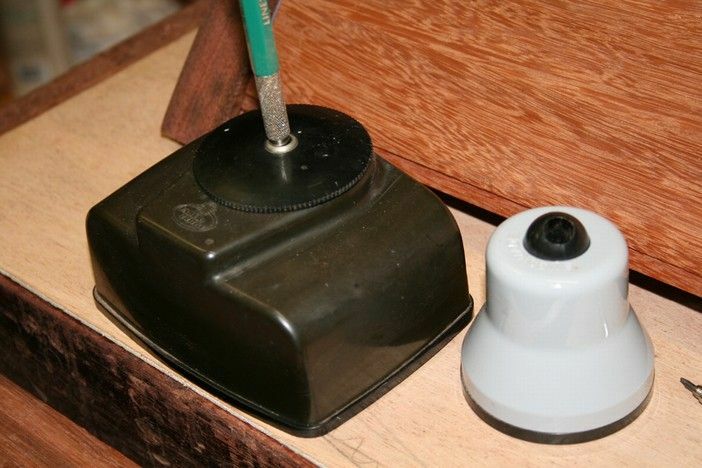 Unfortunately it no longer works (you pop the pencilin and the weight turns the sharpener on). One of these days I will get it repaired. Any one seen one of these before? 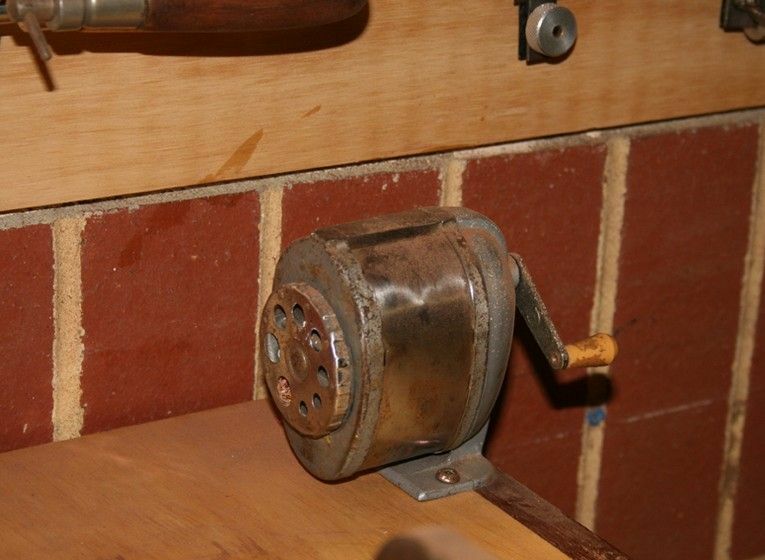 I am old enough that early on I used clutch pencils on the drafting board (yes, T-squares, parallel bars, one-arm bandits and finally drafting machines). In those days we still used inking on mylar for sales presentation drawings. Then Pentels came along & everyone went to those. Then in the mid 80's CAD came along and the drafting boards went out. 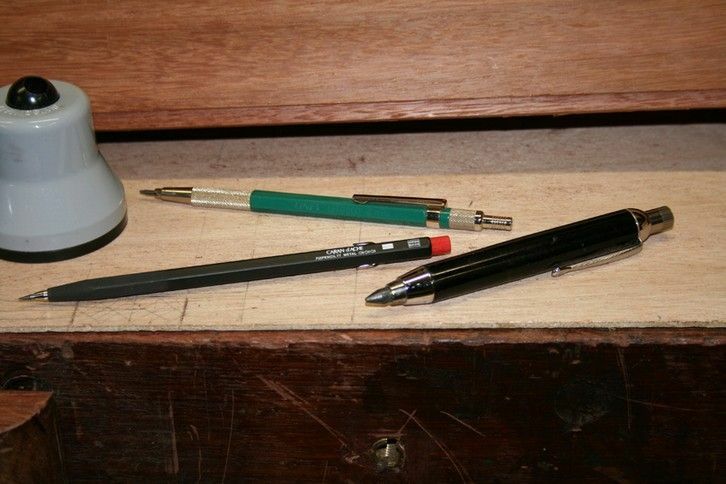 I still have a collection of clutch pencils boxed up someplace (probably overhead in the barn) along with my drafting instruments.